Attendance Wednesday night at a vigil for Elvis Presley was lighter than during last year's 40th-anniversary vigil, but security remained tight. The vigil continues into Thursday. 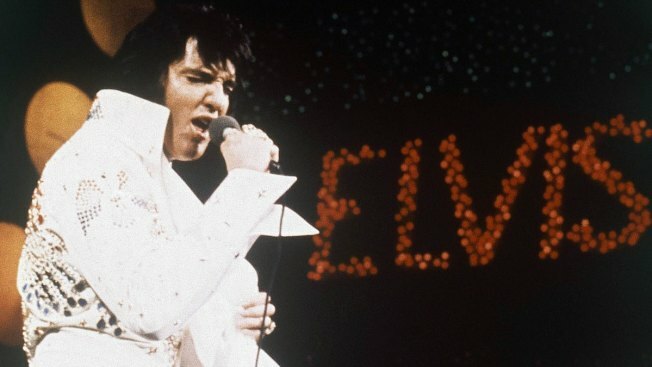 Fans of Elvis Presley are holding flickering candles and walking quietly past the grave of the rock n' roll pioneer on the 41st anniversary of his death. Devotees of Presley flock to Memphis, Tennessee, every year to honor his life and career during Elvis Week. The candlelight vigil is the keystone event, with solemn mourners moving slowly past his resting place and the graves of his parents and grandmother in the Meditation Garden at his former home, Graceland. Presley died Aug. 16, 1977, at age 42. Ever since, fans have traveled from all over the world to Graceland to honor the singer and actor. Graceland now draws about 500,000 visitors annually. Attendance Wednesday night was lighter than during last year's 40th-anniversary vigil, but security remained tight. The vigil continues into Thursday.